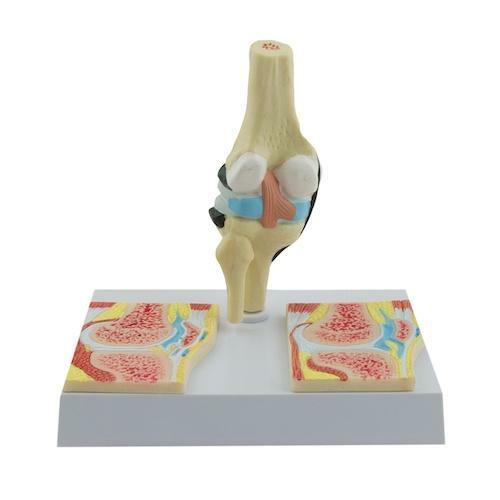 This knee model from HeineScientific shows, with a total of 3 models, a healthy knee and the effects of rheumatic disease (rheumatoid arthritis). 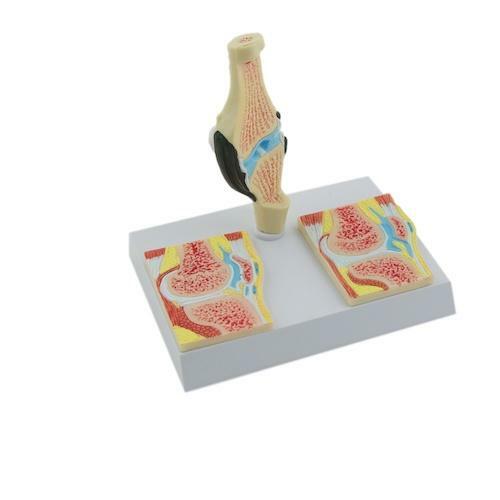 The first model shows a healthy knee in longitudinal section, and is mounted on a white plastic base. On the base there are also 2 relief models, each showing a knee with rheumatoid arthritis in different stages of the disease. Price: On request, from regional distributors (catalogue ref. H130598).